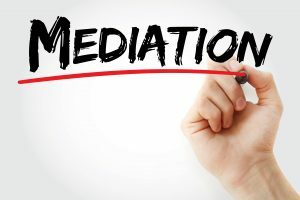 Family mediation is a way of resolving disputes which arise before, during or after separation or divorce. It can also be helpful to avoid problems arising. 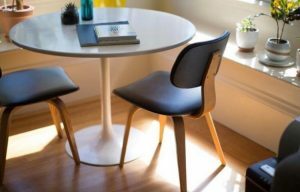 Mediation is voluntary and confidential process which gives you both the chance to discuss your issues, hopes, concerns and needs with each other, in the presence of a qualified family mediator. Family mediation provides a safe environment, helping to reduce hostility and improve the chances of long term positive communication. The family mediator does not advise people what to do, give them legal advice, take sides or provide counselling. Mediators are now required to consider meeting with the children directly to ensure their views are included in the mediation. This can only happen when both parents consent. Mediator will see you both separately for the initial information meeting to find out how best to help in your situation. If everyone is willing to try mediation the Mediator will arrange the first mediation meeting. Most separated parents benefit from taking a stepping stone approach to building or rebuilding the arrangements for children and on average most parents need between 1 and 2 mediation sessions over time. The mediator working with you will make sure that you each have the chance to put across your point of view and the things that you wish to discuss. The mediator will help you to hear from one another about the key issues and then explore the options with you both. The mediator will assist you in checking how practical your proposals are, guiding you to reach acceptable and workable solutions that meet your children’s needs. Any outcome you reach is entirely under your control. Any solutions reach in the mediation are written up into a summary of the proposals, sometimes called a Memorandum of understanding or MOU. The family mediation process involves you working together with the mediator. Anyone wishing to start court proceedings in relation to finances or arrangements for children must have the relevant certificate signed by a qualified mediator in their application form for court, which confirms that they have attended a MIAM. Anyone can refer to mediation. You do not have to see a solicitor first. We aim to have set up the first intake and assessment meeting within 5 days of receiving the referral.